Webinars and videos covering the latest issues in IT infrastructure, IT service management and information security. A recent poll by developer GFI Software found that small business hesitate to use cloud services. The challenge seems to be how to communicate the benefits to this large target group. What role can the traditional SLA play in this communication, or do we need something new? 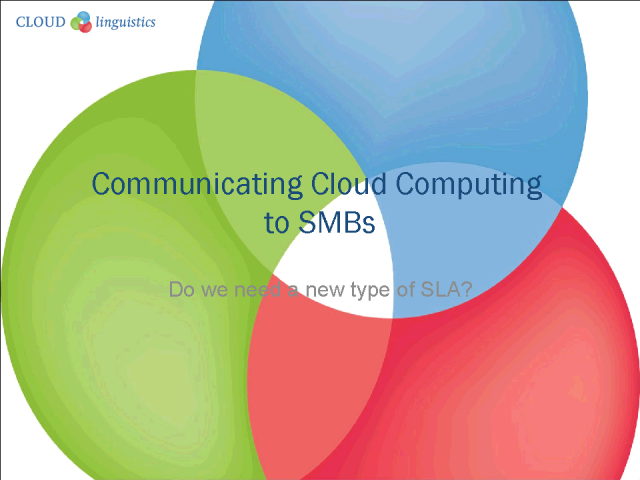 In this presentation Hans looks at the traditional SLA according to ITIL and tries to investigate where it should be adapted to suit cloud service description for “the masses”. As a professional linguist Hans started a career in the ICT industry in the late eighties. With more than 21 years experience in the industry, Hans is an expert in international IT and quality standards like ITIL and ISO. Hans was one of the first to adopt the ITIL method in 1991, and helped its further development by teaching ITIL all over the world. As one of the main authors, he has helped develop ITIL v2 at the turn of the millennium, and more recently he has helped develop the Open Group’s TOGAF 9 certification program. In this international organization Hans was Vice Chair of the Certification Committee and Chair of the Localization Committee. In 2010 Hans started his own linguistic consultancy business delivering specialized services for the international ICT industry and educational organizations. His focus lies on international quality and IT standards. Hans is also a member of editing board of the new International Best Practice Institute.